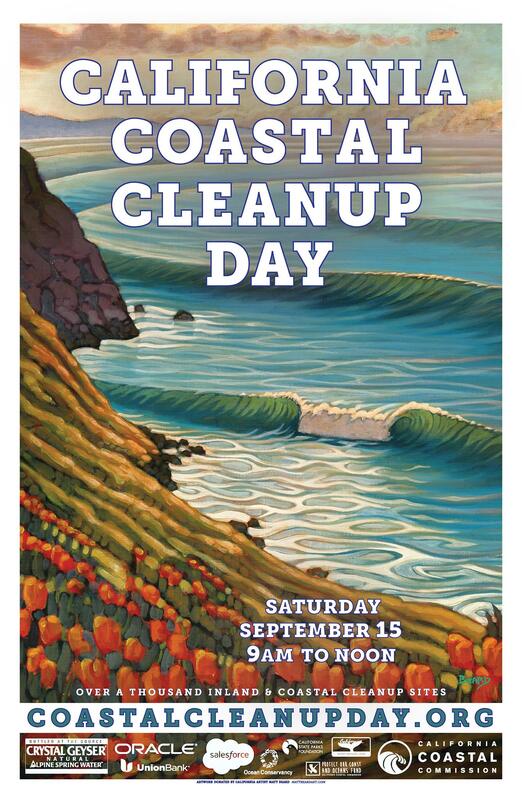 A souvenir of California Coastal Cleanup Day 2018. Poster has English text on one side and Spanish on the other. Art by Matt Beard.